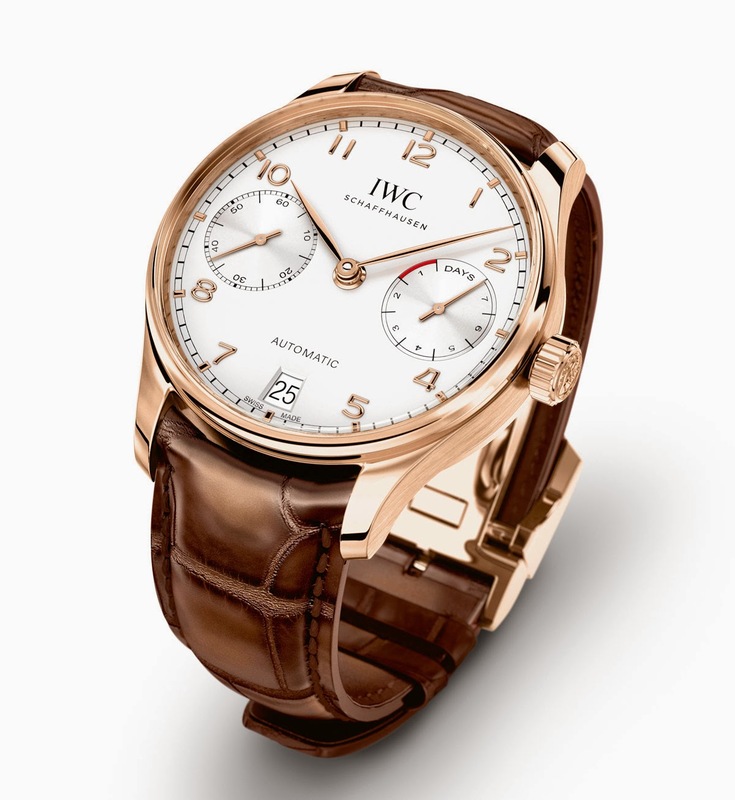 Together with the chronograph version, the Portuguese Automatic is the most successful Portuguese model created by IWC. 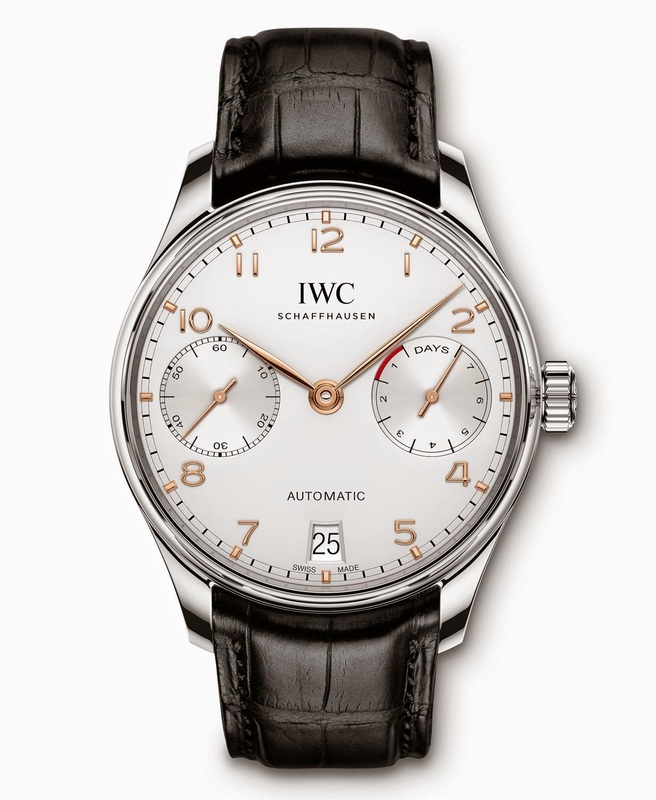 Its dial layout - with the small seconds dial at 9 o'clock, the power reserve indication at 3 o'clock, Arabic numerals and feuille hands - is so balanced and so recognisable that IWC, even on the occasion of the 75th anniversary of the Portuguese watch family, wisely decided not to change it. 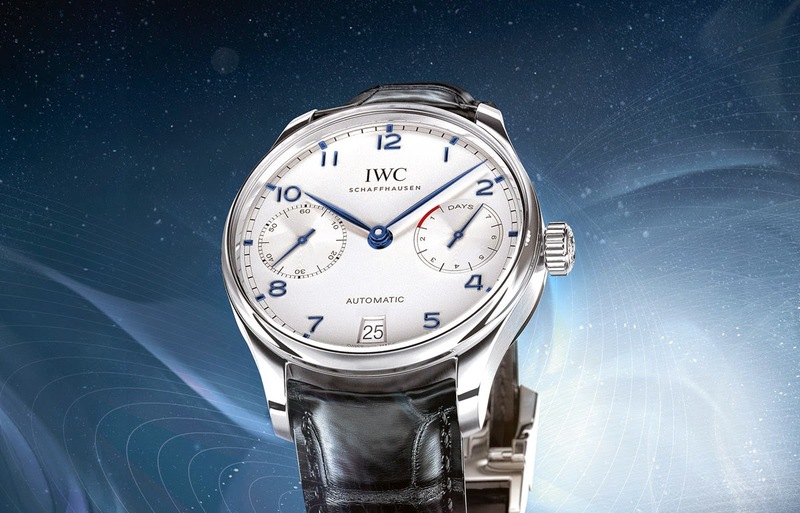 What is new in the Portuguese Automatic that IWC recently unveiled at the Salon International de la Haute Horlogerie 2015 is the movement. Since its debut in 2000, the Portugieser Automatic has been equipped with one of the largest and most efficient automatic winding systems. The new in-house 52010 calibre further improves the 50000-calibre family making the self-winding mechanism practically wear-free thanks to new ceramic components. IWC engineers also improved the bidirectional Pellaton winding system using ceramic for the pawls, automatic wheel and rotor bearing. The indexless balance has an increased frequency of 4Hz (28,800 beats per hour). Combined with the Breguet spring, bent into shape using traditional techniques, this guarantees even greater precision. 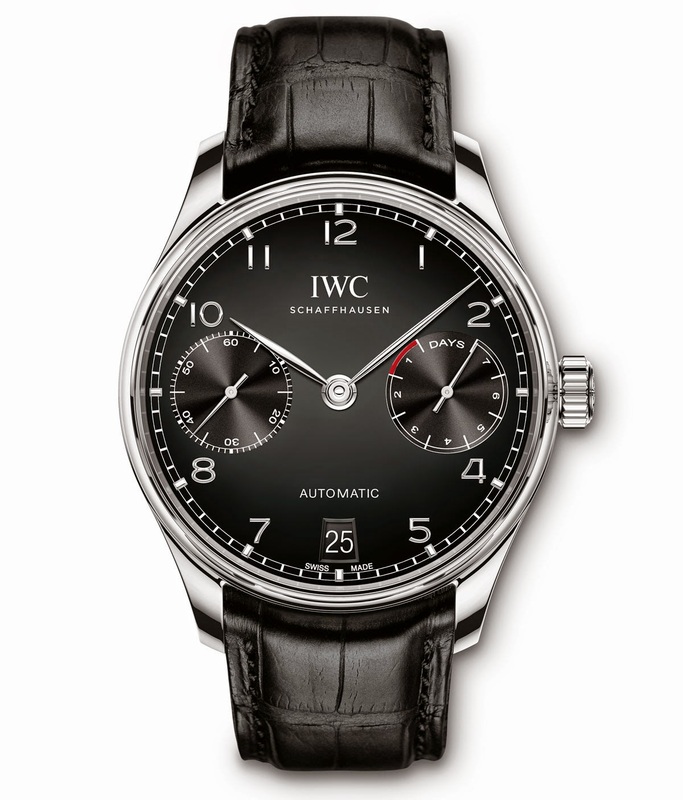 Two barrels instead of one are now used to offer the remarkable power reserve 7 days or 168 hours. 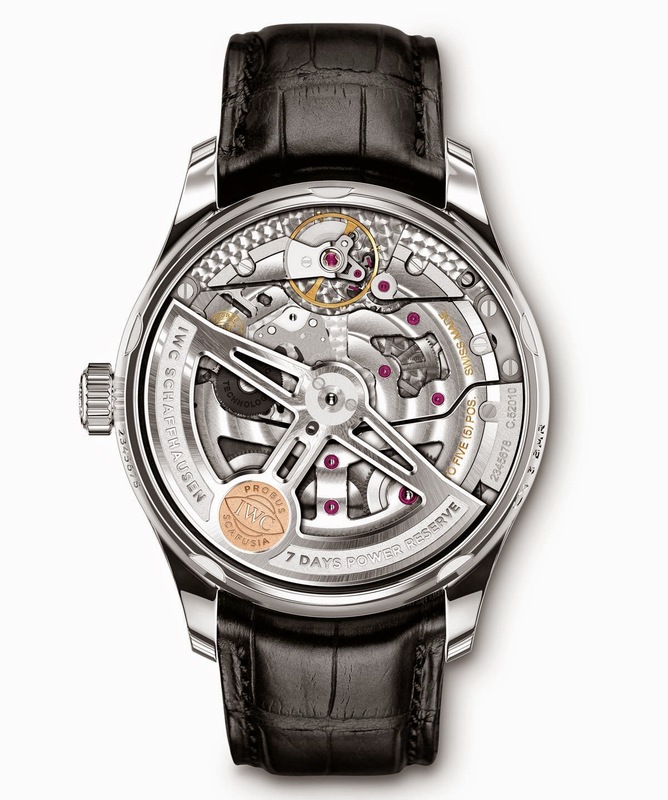 Housed in the 42.3 mm case, the 52010 calibre is visible throughout the sapphire glass case back allowing the owner to view the details of the movement: the skeletonized rotor enriched by the the golden "Probus Scafusia" medallion, the bridges decorated with Geneva stripes and circular graining, the polished screws, and the new ceramic components. 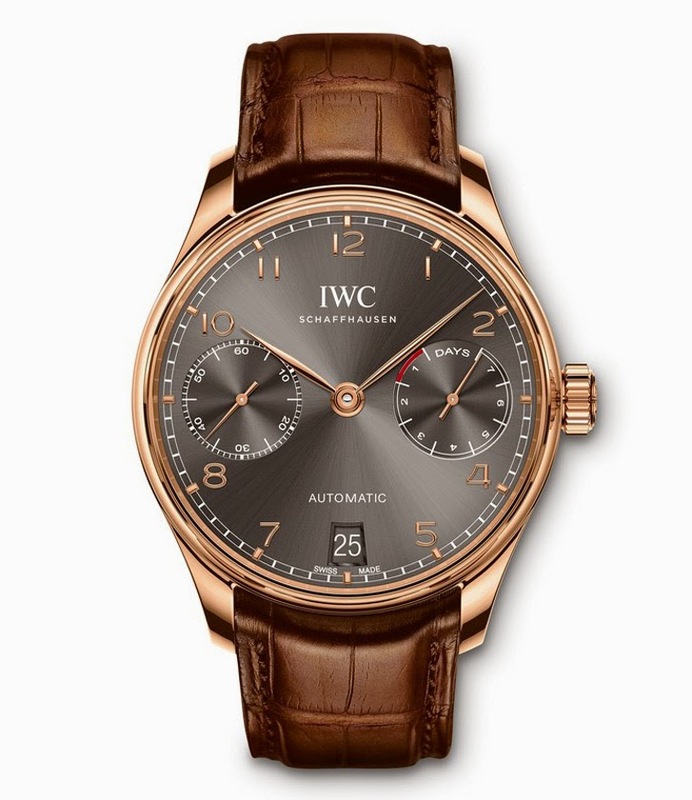 The lightly curved lugs and the strap horns shaped to fit the case make the watch very comfortable to wear. The finishing is excellent, as you would expect. The lugs, the bezel and the case back are polished while the sides of the case are satin-finished. Love the Portuguese and I am planning to buy one. Not sure between the Automatic and the Chronograph. @rafandy Their movements are very different. 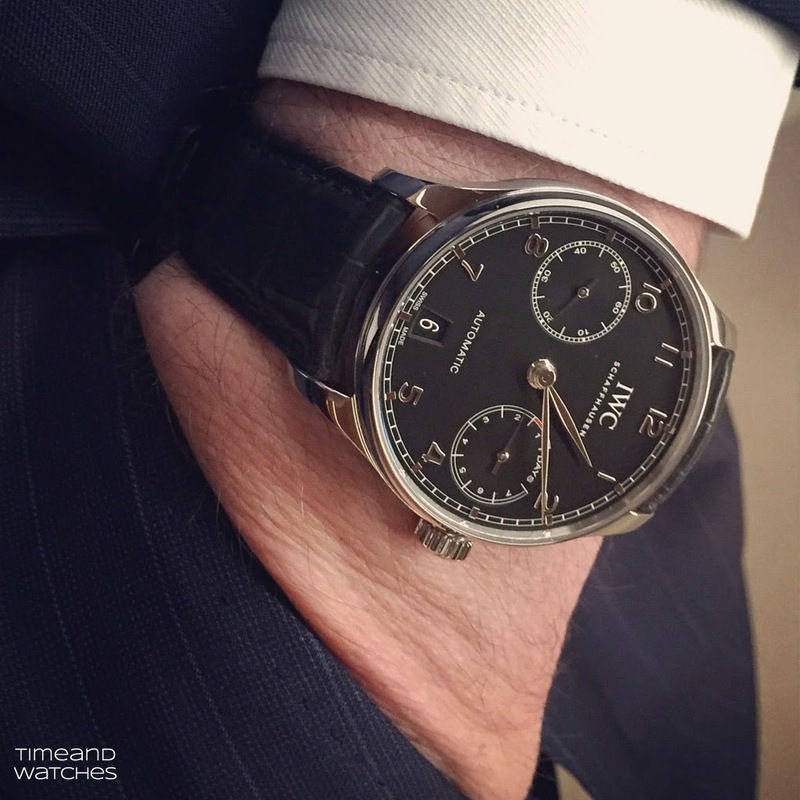 The Automatic is better if budget is not an issue but the chrono is very nice too. 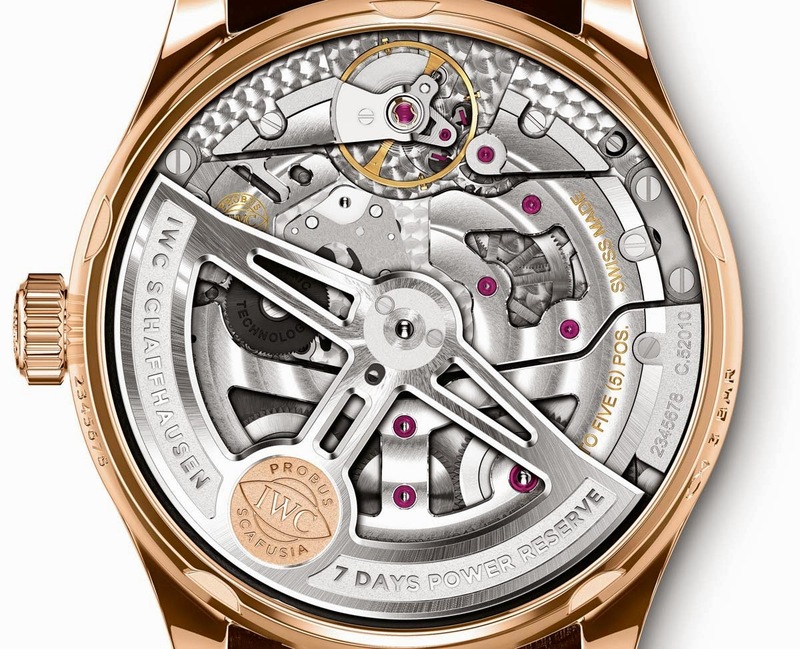 Hands down the automatic given its simplicity and mechanism. Chrono is only if you like that function in a watch. Otherwise both are amazing time pieces. This piece vs Breguet 3810ST-92-9ZU Which one would you pick?